New York, NY According to Mitti Liebersohn, Avison Young principal and president of the firm’s NYC office, office leasing specialist Rick Marek has been hired by the firm. Effective immediately, Marek becomes a principal of Avison Young and will continue to advise tenants involved primarily in legal and financial services. Marek brings more than four decades of New York City commercial real estate experience to Avison Young, most recently as a co-founder and president of The Vortex Group since 2002. During his career, Marek has assisted numerous law firms such as Akerman LLP as well as many financial tenants, including Lazard Freres & Co. LLC, Rockefeller Brothers Fund, Coller Capital and Key Square Capital Management LLC (which came out of the Soros Fund), with their office- space situations. Marek has been active with the Real Estate Board of New York (REBNY) since starting his real estate career at Julien J. Studley Inc. at age 21, one week after receiving a Master of Business Administration degree from Syracuse University. 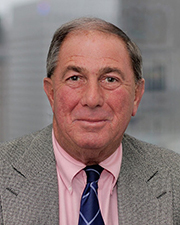 He was chair of REBNY’s Plaza committee for 22 years, participated for two terms on the group’s commercial board of directors and, since 2015, the REBNY board of governors. In 2004, he received the Kenneth R. Gerrety Humanitarian Award at the annual REBNY dinner for initiating a fundraising effort among all REBNY members on September 11, 2001 to support the needy children of the porters at the World Trade Center and workers at Windows on the World restaurant who had lost their lives on that day. Marek is active in other areas of the community as well. He co-founded the DirectEffect research program at Rockefeller University in 1992 and is a member of the university’s council. He has also been a trustee of Educational Alliance, a member agency of the United Jewish Appeal (UJA), for more than 20 years. Marek’s addition represents another key component of Avison Young’s ongoing New York-area recruitment drive, which has resulted in more than 30 hires, including several new principals, since the beginning of 2018.